Holly Knitlightly: The List: July Update! 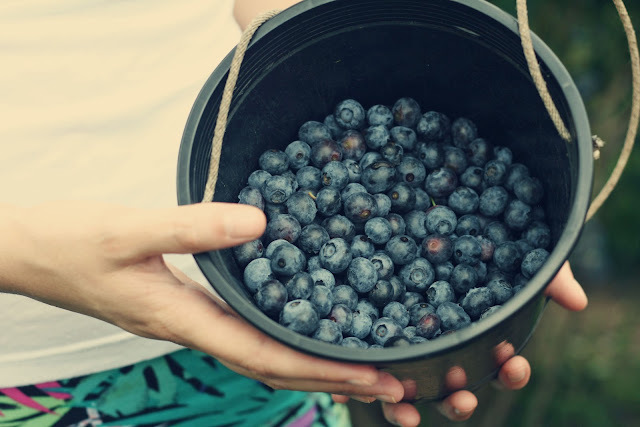 Keith, De & I also went blueberry picking in July! & I made some delicious blueberry scones/biscuits. Yum. Unfortunately we missed raspberry picking this year and the cherry season was pretty bad because of the warm weather we had in March. But there's always next year! Oh & we slept outside! I'm going to see if Keith will sleep outside with me again before the summer is over, haha. I love it! Although waking up super early (& HOT) with the sun isn't the greatest. But it's fun to fall asleep outside, and Squirt loves it. I don't think I crossed any movies or shows off my list - I did start to watch Dexter though. I tried a few years ago and I just couldn't get into it, but I'm now on season 3 & I think it's growing on me, ha. Did you make any goals for July? Or any for August, since we're almost done August, ha. ohhh i love dave eggers! i've read several other books of his but not what is the what just yet. but i'm sure it's great, he's a fantastic writer! You should definitely check it out! It's awesome. I'll have to check out his other books! I haven't read any of those but I own 100 years of solitude, does that count, haha? You will!! I love reading, I have to read before bed! So many nights I wake up with the light still on & I'm holding my book, haha. love your "about me" and that you are a toronto based blog! whoo! looking forward to reading more and getting to know you.